Over the past few weeks, I have been busy in the studio creating new jewelry. One piece I wanted to share is a new ring design. I love the way the black onyx contrasts with the sterling silver. 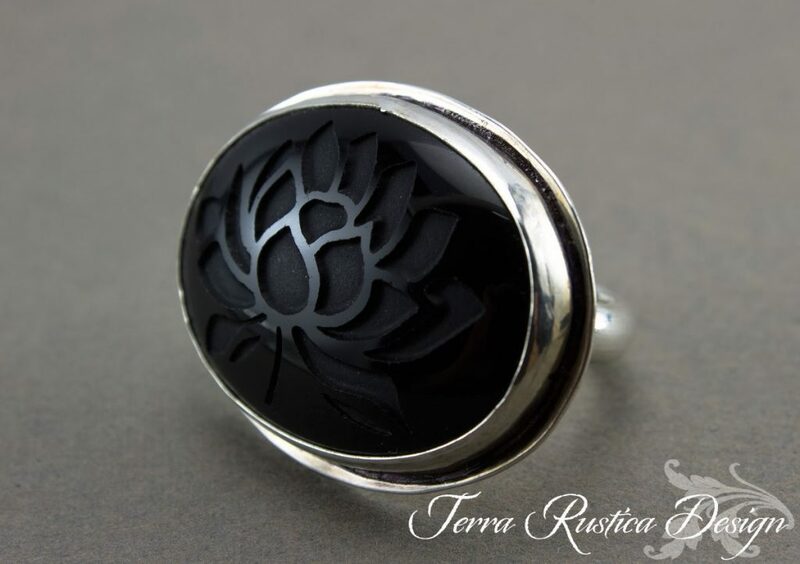 This Lotus ring is a talisman for me to the changes I wish to make this year. I plan to list some new designs to my website. I will also be converting my Etsy store to sandblasted supplies, including sandblasted new cabochons. I’m looking forward to this year.